Dealing with and removing asbestos is very dangerous. Inhaling a single fibre of this material is enough to be deadly, and so strict guidelines exist to keep people safe. Serious penalties apply for non-compliance, and we take compliance very seriously to keep our employees (and you!) safe. This means that nothing else can go into a skip bin that is set aside for asbestos removal. If you are hiring a bin with the intention of using it for asbestos removal, you must notify us. There is a duty to inform others of the presence of this dangerous material to minimise the risk of exposure. If you aren’t sure what size bin you might require, contact Melville Bin Hire and talk to us today! When you a skip bin from us to dispose of asbestos, please wrap the material in piles of no more than five sheets at a time in black builder’s plastic. Tape the plastic-wrapped piles with either cloth electrical or gaffer tape, ensuring the parcel is as tightly wrapped as possible. Use ample tape to discourage easy unravelling. Masking tape and packing tape are not acceptable alternatives. If you need to dispose of asbestos and would like more information about these guidelines, please contact Melville Bin Hire. We would be happy to help you with this serious matter. 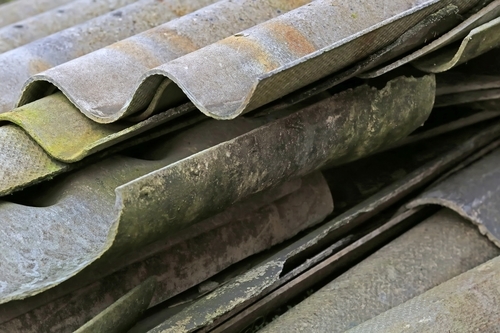 You can find further instructions on how to correctly wrap, tape, and label asbestos on our website. If you’d like to talk to us about your asbestos removal requirements, or would like to hire a skip bin, please don’t hesitate to contact Melville Bin Hire. We are Perth’s preferred asbestos removal experts!